In engineered equipment, the term enclosure may mean several different things. 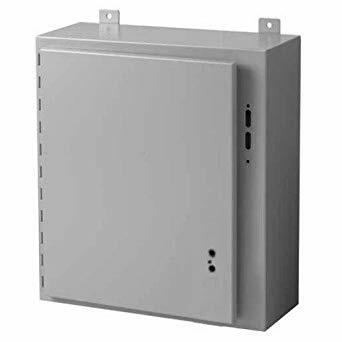 There are electrical enclosures, also known as electrical “houses”, that contain large critical equipment such as variable frequency drives and motor control centers. 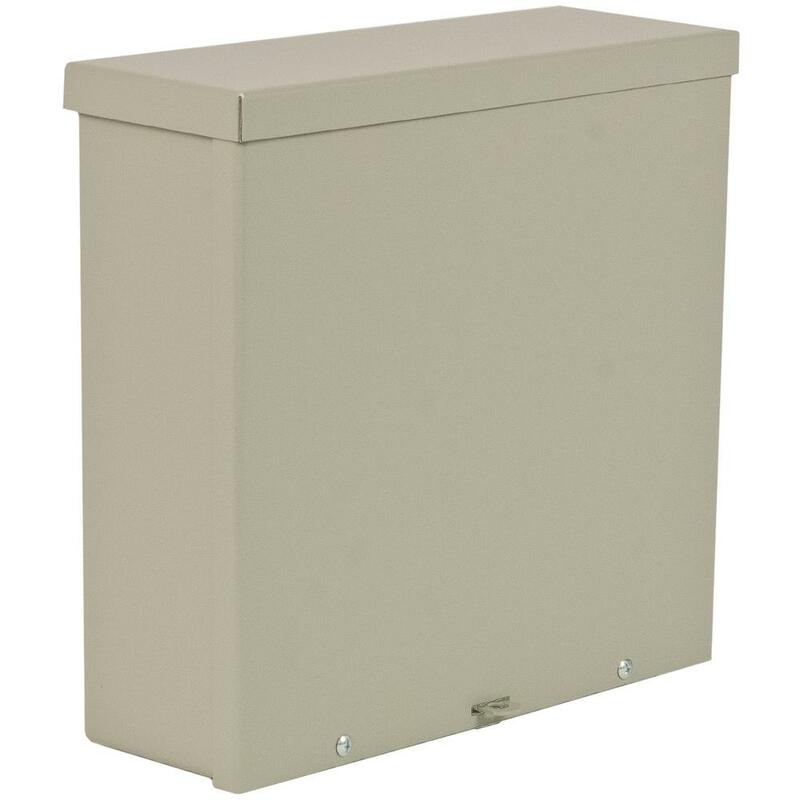 Junction box enclosures are used to protect and terminate wires and provide a safety barrier. 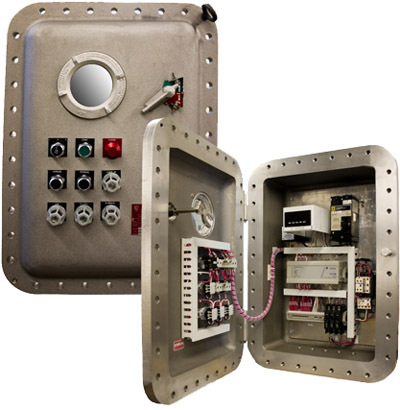 Finally, control panel enclosures serve a dual purpose of protecting electrical equipment and protecting personnel from incidental contact with that equipment. Specifying an enclosure is a function of the following parameters: desired functionality, thermal considerations, ingress protection (how impervious the control panel enclosure is to the environment), and material of construction. The components of the enclosure will be specified in a panel layout drawing. 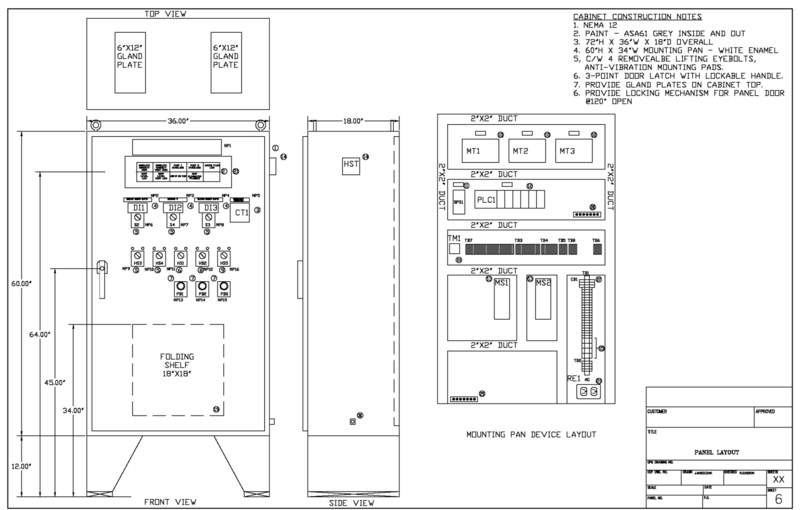 This drawing may include switches, transmitters, power supplies, and any electrical components required to provide required control schema. Not only does the enclosure need to physically house all components, it must also ensure the overall heat rise given off by these components is within acceptable limits. Depending on the temperature rise, a ventilation fan or even air conditioning may be required. The application of either of these cooing aids will influence the ingress protection rating. (National Electrical Manufacturer’s Equipment) and IP. The NEMA rating is primarily used in North America whereas the IP rating is generated by the International Electrotechnical Commission (IEC). The IP abbreviation stands for international protection, but is commonly thought of to mean ingress protection, which is appropriate term as well. Both systems use different test ratings and are not directly correlated, but ratings can be approximated. The NEMA rating system uses a 1 through 13 rating system with suffixes at times to indicate additional protection characteristics. Type 1 enclosures are constructed for indoor use. These enclosures protect against dust, light, and indirect splashing but are not dust-tight. The primary function of a Type 1 enclosure is to prevent incidental contact with the enclosure equipment. Type 1 enclosures are used in low specification areas and indoors. Visually, type 2 enclosures look nearly the same as type 1 enclosures. The only difference is the drip shield mounted over the enclosure opening that provides an additional degree of protection against falling water. Due to the addition of a dripshield, they offer slightly more protection than a Type 1 enclosure, but remain suited for indoor, low specification applications. Type 3 enclosures offer better protection than type 1 or types. Type 3 enclsoures an be used indoor or outdoor and provide protection from falling dirt, windblown dust, water, rain, sleet, snow, and ice formation. Type 4 enclosures are considered weather tight and are constructed for either indoor or outdoor use. This form factor provides protection against falling dirt, rain, sleet, snow, windblown dust, splashing and hose-directed water. NEMA 4 enclosures will be undamaged by the external formation of ice on the enclosure. The X variant adds corrosion protection. 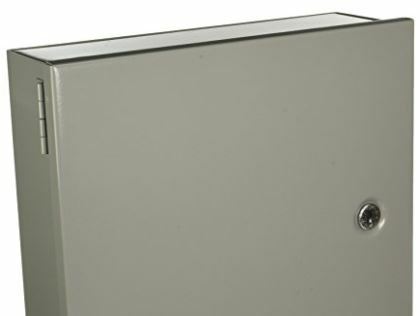 Type 4 enclosures are suitable for a Class I, Division II environment. Type 5 enclosures are rated for indoor use and provide a small degree of protection against water ingress (drip protection and light splashing). Their main function is their focus on particle intrusion as they protect against falling dirt, settling dust, lint, fibers, and flyings. As a result, these enclosures are frequently specified in steel mills and cement plants. Suitable for indoor or outdoor use, these enclosures protect against falling dirt and the formation of ice on the enclosure, but are particularly suited for applications where the water immersion may be a possibility. The standard 6 allows for temporary submersion capabilities whereas the P variant allows for prolonged submersion capabilities. 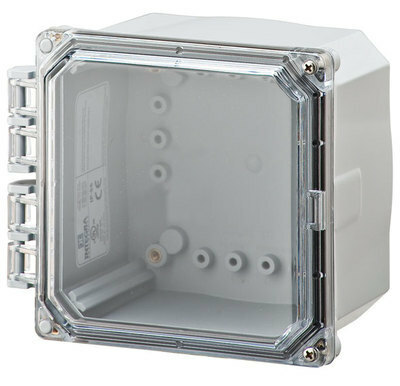 NEMA 7 enclosures are explosion proof and designed for a Class I, Group A, B, C, or D area. 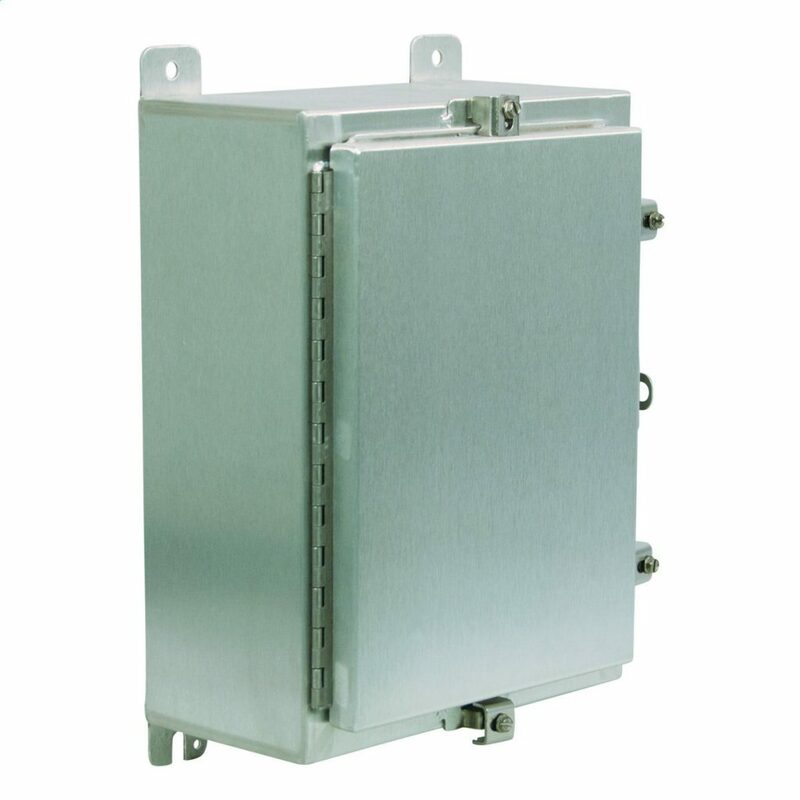 Type 8 enclosures are explosion proof and prevent combustion through the use of oil immersed equipment. They can be used indoor or outdoor in Class I, Groups A, B, C, or D areas. Designed to prevent the ignition of combustible dust and suitable for indoor use in Class II, Groups E, F, or G areas. Designed to contain an internal explosion without causing an external hazard. These enclosures are for use in mining applications for atmosphere that contains methane or natural gas. These enclosures are suitable for indoor use and provide protection against the ingress of solid foreign objects (falling dirt and circulating dust, lint, fibers, and flyings). They also protect against dripping and light splashing. Type 12 enclosures have no knockouts, is dual rated as a Nema 3R enclosure, and commonly specified as a robust indoor option. The K variant adds knockouts and is a less common option. Founded in 1906, the International Electro technical Commission (IEC) is the global organization that prepares and publishes international standards for all electrical and related technologies. IEC International Standard 60529: “Degrees of protection provided by enclosures (IP Code)” describes a system for classifying degrees of protection. NEMA standards meet or exceed IEC standards. Therefore, this chart may be used to reference from NEMA to IEC, but not in the opposite direction. NEMA enclosures 7, 8, 9, and 10 are missing from this chart. This is because these enclosures are designed for hazardous areas and do not have an applicable IEC equivalent. The most common enclosure materials is mild steel. Mild steel enclosures are typically finished with a powder coat. Powder coats are applied via electronic spray deposition, resulting in a durable finish that generally outperforms liquid spray coating. 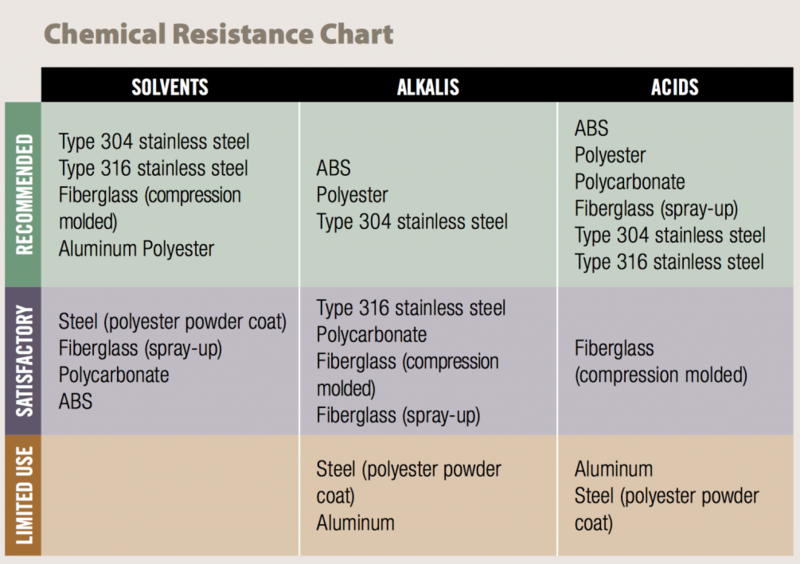 For applications where corrosion should be minimized, stainless steel is a strong choice. 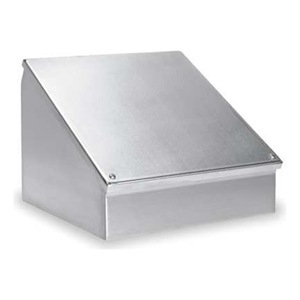 There are two main grades of stainless steel enclosures: 304 and 316. The 304 grade of stainless steel contains 18% chromium and 8% nickel and is the more economical choice. 316 grade stainless steel contains 16% chromium, 10% nickel and 2% molybdenum. The molybdenum adds salt resistivity and should be specified offshore and close to the coast. Aluminum, polycarbonate and fiberglass enclosures are valued for their weight. For example, if a polycarbonate enclosure weighs three pounds, a fiberglass enclosure of the same size will weigh 4.5 pounds, six pounds if made of aluminum, and nearly twenty pounds if fabricated from steel. Additionally, resistivity to liquids may play a role. If this is a concern, the chart below can be consulted. Lastly, client specifications may dictate the type of enclosure that is required. In the absence of specifications, a systematic selection approach is recommended. Begin first with the required functionality, address ingress protection requirements, and ultimately determine the appropriate material selection. Previous PostPrevious Looking to attract young talent? Here’s how.